I prefer eating it at home where I can really take the time to pick all the succulent meat and savour all its goodness. 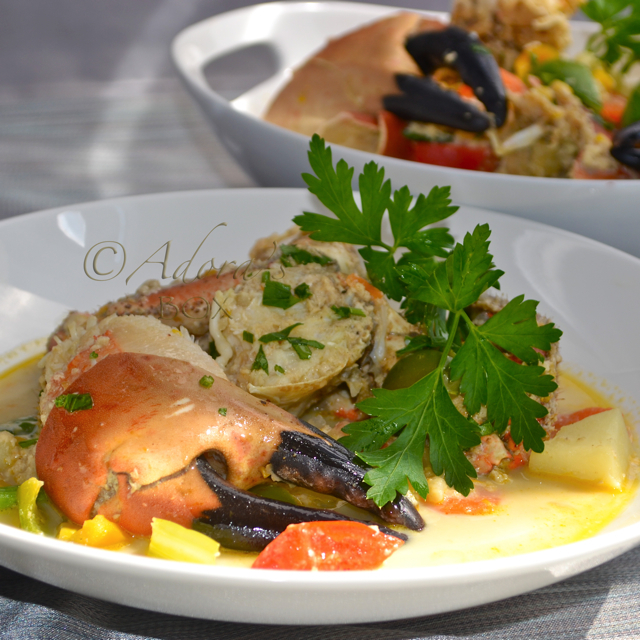 The freshness of the crabs is essential, so buying live crabs is the first prerequisite to the success of this dish. 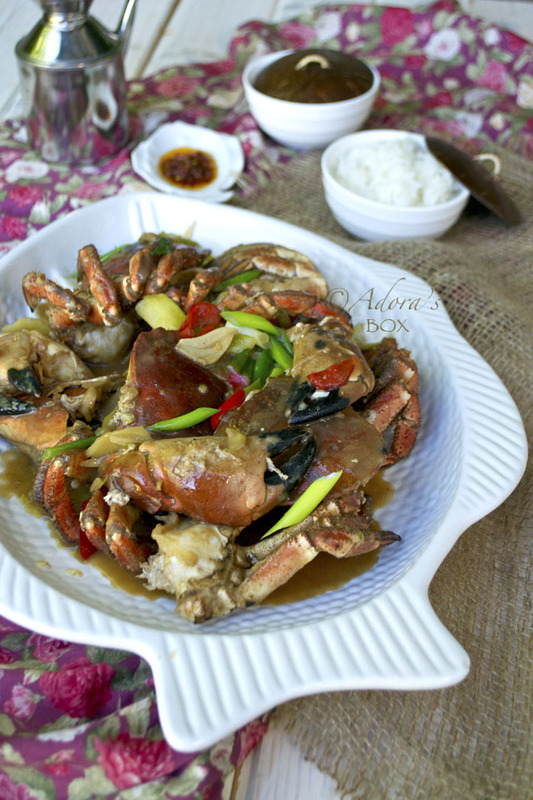 This dish is very easy to prepare, once you've tackled the messy job of chopping the crabs. 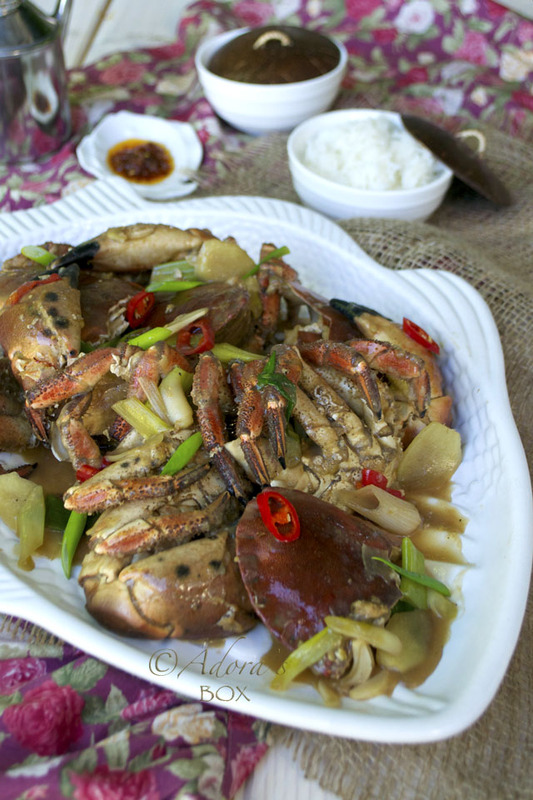 The crabs are first deep fried before being cooked in sauce, a technique that makes the dish super tasty. Blanch the crabs briefly in boiling water. Take the shells off. Take the dead man's claws off. Chop the body into 4 pieces and the shells into 2. With the back of a cleaver, crack the claws for easier picking. Put all the pieces in a mixing bowl, add 3 tbsp. of the cornflour, cover and shake. 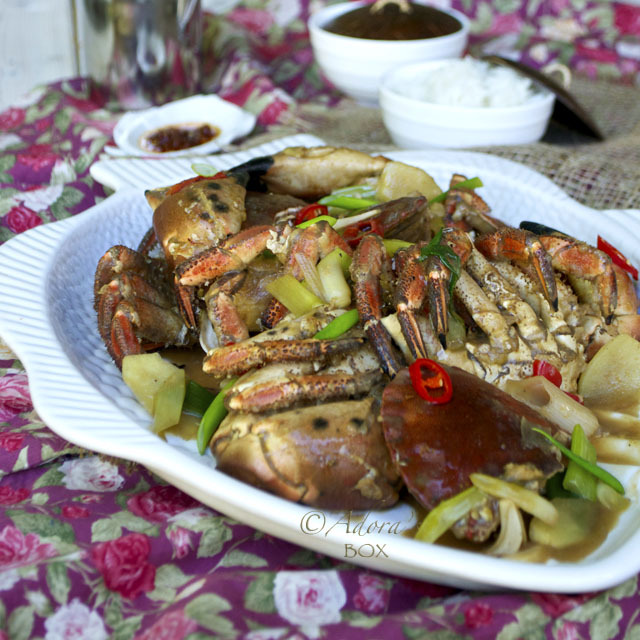 Heat up some cooking oil and deep fry the crab pieces, in batches, on high heat for about 2 minutes. Set aside. In a clean wok, stir fry the garlic, ginger and chilli in 1/4 c. of oil (you can use the oil used for frying the crab). Add the crab pieces. Add the oyster sauce, soy sauce, sugar, sherry or Chinese wine, and water. Bring to the boil and simmer for 10 minutes. Disperse 1 tbsp. of cornflour in a bit of water and thicken the sauce. Check for seasonings. Add the spring onions and simmer for another minute. 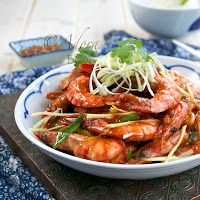 It is now ready to serve with rice or on a bed of boiled thin egg noodles. You lost me at the live crab! 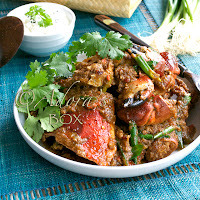 This is an intimidating picture :) I can tell it is tasty but I am not sure if I can make the first move to eat it :) Great recipe! 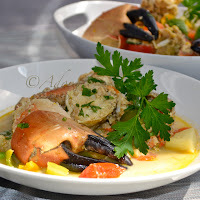 i've never made crabs! but this recipe motivates me coz the ingredients sure are delicious complements. thank you for sharing. Mmmm! Great pictures. Sounds and looks incredible! Wow Adora, your blog is getting better and better. Your pictures are getting crisp too. Continue the hard work Adora, it's paying off.